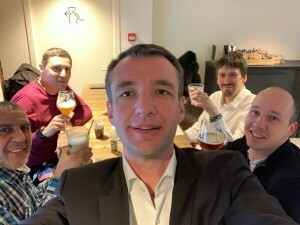 A good time spent between Consultants in Charleroi. Thanks to LA MANUFACTURE for proposing nice products such as: locally brewed beer, cheese, natural breads, etc. We had a good time there and will surely come back! To celebrate the end of the year, all BELGATECH members have been invited to a Casino Party. The dinner was hosted in one of the most beautiful green spots in the capital, at Chalet du Laerbeek. Everyone quickly played the game and the gambling tables were not empty until the end of the night, only to enjoy a delicious dinner or have a picture taken with colleagues in a great Casino decor. 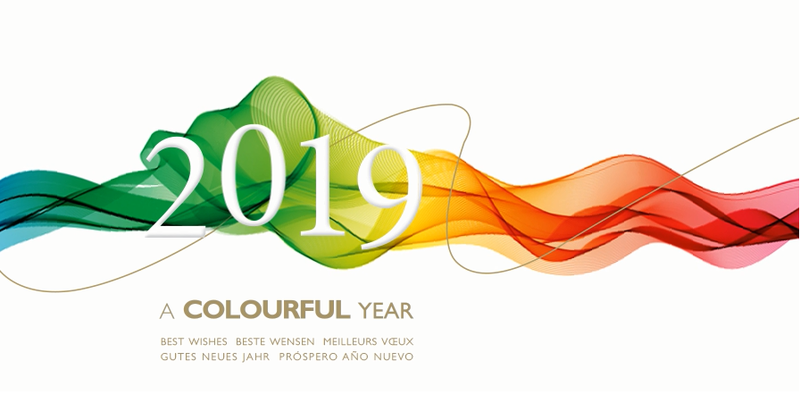 During their speech, the directors looked back on the successes of 2018 and the projects for the New Year, not forgetting to thank the employees for their excellent work during the year. At the end of the evening, participants were able to spend the winnings accumulated during their evening at an auction. 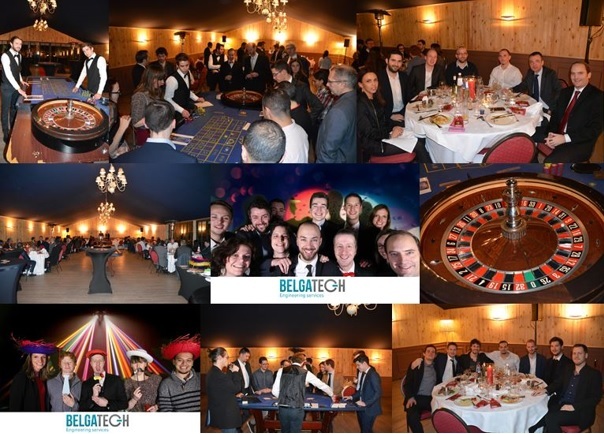 Thank you all for your participation and your good mood and Happy New Year to the whole BELGATECH team! For the first time BELGATECH sends its Best wishes with E-cards! In 2019 we have decided to support Make-A-Wish: an association which helps children with a disease by making their dreams come true. This year, our Christmas dinner theme was dedicated to Casino. 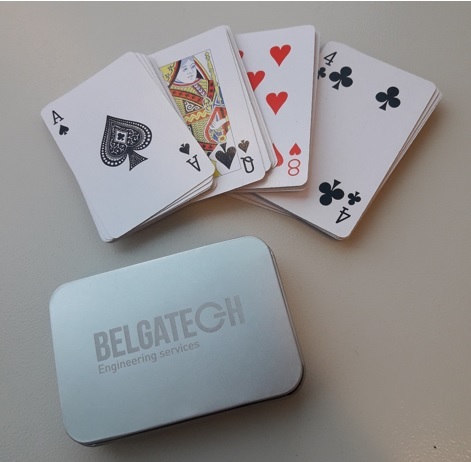 All BELGATECH staff members received card games on this occasion as a souvenir of the evening. These gifts were also an opportunity to support the Rose-up association which acts for the women with cancer. 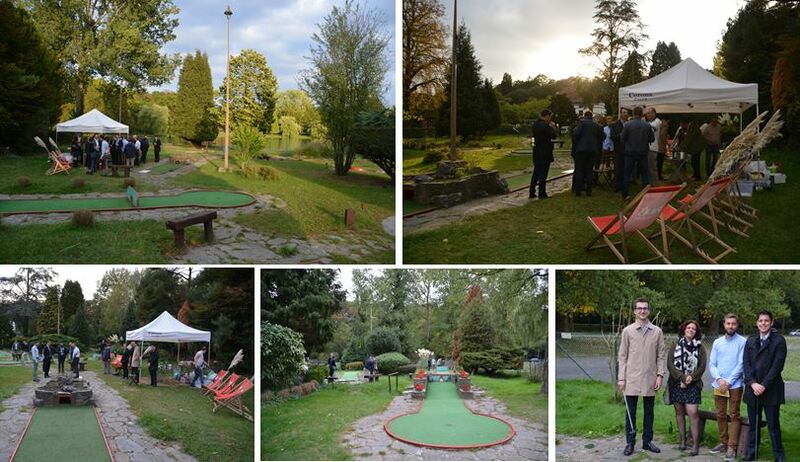 Last Thursday BELGATECH team members played Mini-Golf in beautiful scenery. They first had a drink between colleagues facing the ponds and then hit the ball in teams. Two of us clearly stood out: Henri D. and Nicolas G. Congratulations to them and also to all the other players whose motivation and good humor led us to play until dark! For our traditional quarterly event, the BELGATECH staff gathered at the Genval Yacht Club. 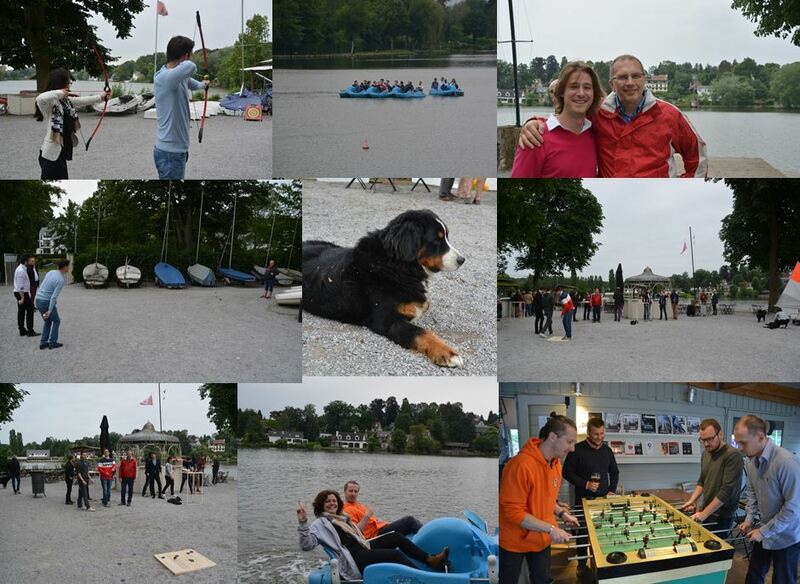 A slightly capricious weather did not prevent us to enjoy the various activities on offer: while some played “petanque”, “palet Breton” or archery, others took the opportunity to take a pedalo tour on the lake. The evening continued with a delicious barbecue, interesting discussions and for some late petanque games! See you after the summer for our next event! 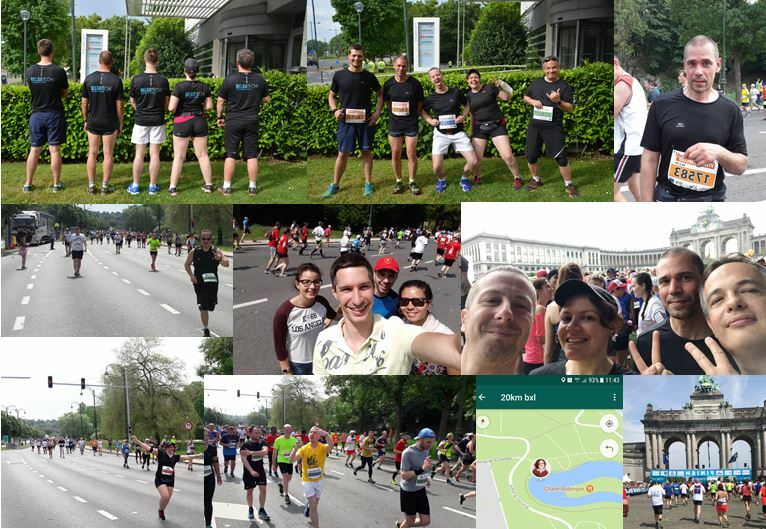 May 2018 – Congratulations to the 5 BELGATECH runners! Congratulations to them for taking up the challenge and thank you to the colleagues who came to support them! 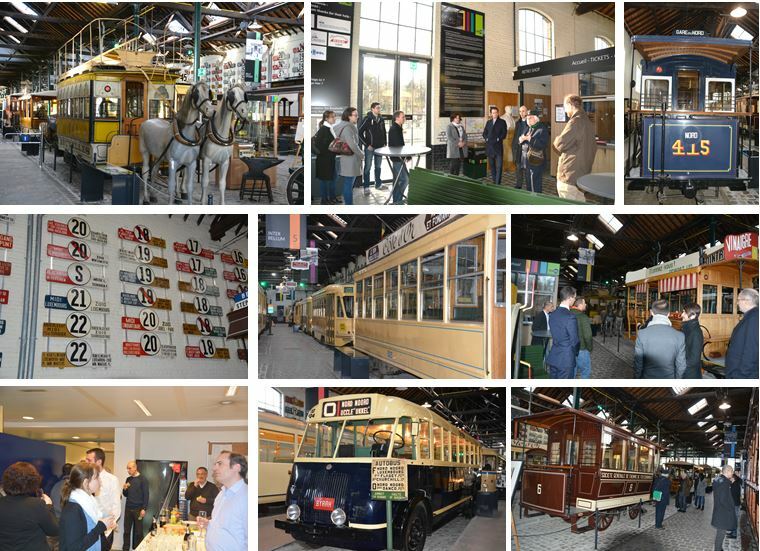 Our last event took place at the Tram Museum in Woluwe-Saint-Pierre. A choice motivated by the activity of BELGATECH in the railway sector but also by the proximity of the museum. Two volunteer and passionate guides commented on a selection of Belgian trams, ancestors from the end of the 19th century to the current models. An interesting dive in the history of railway technology that ended with a drink in the offices of BELGATECH. A friendly moment to share the impressions of everyone on the visit but also to get to know the newcomers at BELGATECH and, for some, to be photographed for our future Wall! Thank you all for your presence and see you in June for our next event! 50 new Colleagues to find in 2018! 1 ton of laughter every day! 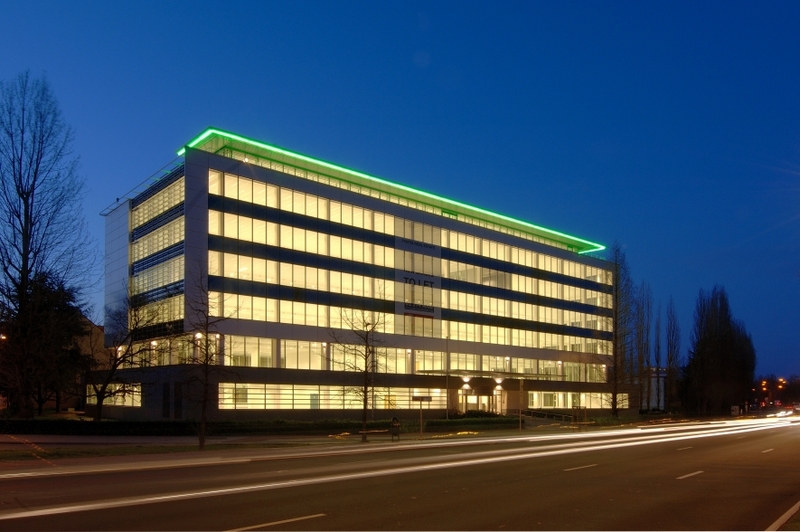 Have a look at our Corporate video! 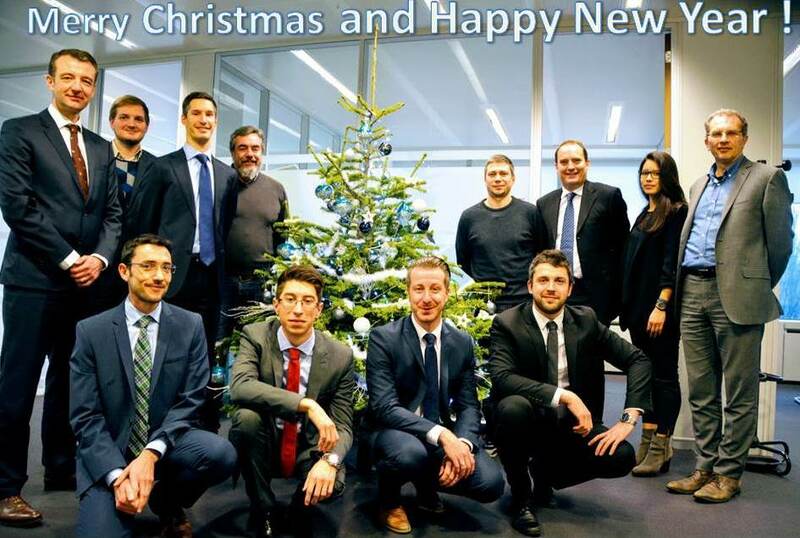 December 2017 – Our warmest season’s greetings from the whole BELGATECH team!